Find the best current UK prices and best deals on excellent New Zealand wine. Use various search filters to find your favourite color, brand or seller. Have a look at our exclusive voucher codes, reviews, awards and Price History. Sign up to Price Alerts and we will email you as soon as there is a discount you are waiting for. The islands of New Zealand have been catapulted into our consciousness, in the last 10 years, not just because of the ‘Lord of the Rings’ phenomenon, but because of the initially timid, then rapid rise in popularity of New Zealand wine, spearheaded by its signature grape, Sauvignon blanc. With New Zealand Sauvignon, now the darling of the wine world, and almost a brand in itself, it’s difficult to believe that this country is still in its almost teenage years, as a wine country, with the first Sauvignon grapes being planted in Marlborough, as recently as 1973, by the now world-famous Brancott estate, at a time, when the largely –held view was that the South Island was too cold for grapes to ripen properly. Within 10 years, New Zealand Sauvignon blanc had taken the world by storm! New Zealand Sauvignon blanc had a seismic impact on both the wine industry and wine drinkers, and has become one of the benchmarks of Sauvignon blancs across the world. When these wines first hit our shores, the UK wine drinker was initially shocked, then enamoured of the bold, bright, overt aromas and flavours of these squeakily clean white wines, with their fresh, lime zest and gooseberry fruit flavours, and pungent, herbaceous character. We had seen nothing like this type of Sauvignon blanc before, and the style has since become a benchmark for almost all regions and countries that produce Sauvignon blanc. The New Zealand Sauvignon blanc brand was born! New Zealand still accounts for only 6% of total wine sales in the UK but this is huge growth pattern in the decade, from under 1% 10 years ago. Whilst the average price point for a bottle of wine in the UK is now just over £5, New Zealand wines command the highest average price point of all the wines sold in the UK, at well over £6, which proves the popularity and loyalty of this style of wine. Recent years have seen a couple of gluts in terms of wine production, with high volume vintages, which have led to a veritable sea of inexpensive, highly promotable New Zealand Sauvignons, on supermarket shelves. However the 2012 vintage, was the smallest in recent years, with a considerable reduction in quantity, which is bound to force prices up and restrict some promotional opportunities. Until the 1970s, wine production in New Zealand had largely been restricted to the areas of Auckland and Hawkes Bay, producing fortified wines, made by immigrants from Europe. Improved travel opportunities led to a host of young New Zealanders, travelling to Europe, and many returned, having learnt about European wine culture and wine making, determined to build an industry, in their country also. Given wine’s long history, with estates in Europe dating back hundreds of years, it’s sometimes difficult to grasp the fact, that some of the best known New Zealand wineries, such as Cloudy Bay, and Oyster Bay, did not even come into existence until the mid 1980s! Today, the breadth of wineries and production areas span nearly 10 degrees of latitude, and cover almost 1000 miles from Auckland in the north, to Central Otago in the south. In 1996, there were 238 wineries, today there are over 700; similarly in 1996, only 6610 hectares of land were planted with vines, whereas today, this has increased 5 times over, with over 34,000 hectares planted. Due to its location, far south in the Pacific Ocean, New Zealand is suited to totally different grape varieties than its much larger neighbour, Australia, and the aromatic, delicate grape varieties, benefit from the far cooler, almost continental climate. Sauvignon blanc is the undoubted superstar, but Pinot Noir is hot on its heels, and there are a host of other, mainly aromatic grape varieties that are being explored. The naturally cool climate of New Zealand, with its wet winters, cold nights (even in Summer), and long grape maturing time, makes for fragrant, elegant wines, and the New Zealand wine producers rapidly worked out the best regions to plant different grape varieties. The majority of the vineyards are on the east side of the country, sheltered from the prevailing winds coming in from the west. Whilst Sauvignon blanc hit the popularity stakes early on, there was mixed reaction to New Zealand’s red wines, with concerns that red grapes did not reach their full ripeness and maturity. In the early days, Cabernet Sauvignon wines were often stalky and green, but there was an immediate enthusiasm for the softer, earlier ripening, fruit driven Merlot, which had some early success in the warmer climes of the north island. Over the last 20 years, New Zealand wine producers have explored the 2 islands, and have found the very best regions and climates for different grape varieties, the latest being, the premium , very cool climate area of Central Otago, in the south of the South Island, which is now producing some of the top quality Pinot Noirs produced in the country. The infrastructure of the New Zealand wine industry, also differs to many traditional countries. Whilst many companies and family estates, set up their own vineyards, there is a strong culture of contract growing, where different wine growers and farmers produce grapes and sell to either big companies, or smaller producers. Many wine producers purchased from contract wine growers, whilst their own vineyards were maturing, and this structure continues. New Zealand is renowned for its pioneering stance on the use of stainless steel in winemaking. The freshness of many New Zealand wines, and the majority of Sauvignon blanc is due to the fact that the wines don’t go anywhere near oak, and are fermented and stored in modern, stainless steel, which keeps the freshness and the pure varietal character of the wine. But, Potentially the single biggest contribution to the world wine industry, that New Zealand has given, far beyond, its ground-breaking, revolutionary styles of Sauvignon blancs, is its initially pioneering work into the use of screwcaps, which has resulted in a worldwide revolution in the way bottles of wine are sealed. Following trials in Australia, by forward-thinking wine producers in the Clare Valley, who were fed up with the inconsistencies in their top Rieslings, due to the cork closures, New Zealand winemakers started to adopt a similar philosophy. In 2001, the New Zealand Screwcap Wine Seal Iniative was created, driven by Marlborough wine producers. Following research by the Australian wine Institute, which pronounced, that wines sealed with screwcaps were far more consistent, bottle to bottle, than cork. The initiative was accepted, very rapidly, with the members of the group committed to undertaking research, sharing ideas, and developing project and best practices in the use and education of screwcaps. 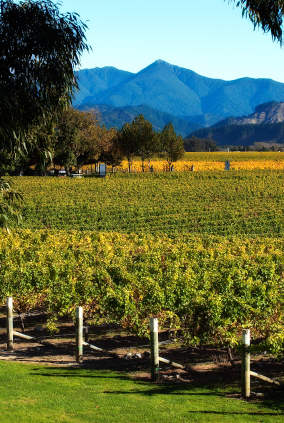 Villa Maria was the first of the big producers to embrace the screwcap initiative, and New Zealand was soon hailed as a world leader in one of the most important advancements in wine quality and consistency in the modern wine world. The initiative was praised by one of the foremost Californian wine producers, Randall Grahm, founder of Bonny Doon Vineyard, who stated: "The New Zealand Screwcap Wine Seal Initiative has, for some of us, been a sign of intelligent life in lands so very far away. The primary job of the winemaker is to preserve the integrity of the wine and to allow the wine to achieve its greatest potential. For me, screwcaps are the very best technology currently in existence to advance this end". Back in the early noughties, screwcaps had a very negative image, and were associated with Lambrusco and the cheapest of the cheap table wines. New Zealand, single-handedly changed the perception of the screwcap, by making a bold statement, that quality, and premium priced wines were better served, and sold in screwcap closures. 10 years on, and over 90% of all New Zealand wines are now bottled under screwcap. More importantly,from under 1% 10 years ago, almost 45% of the entire world’s wine production is now bottled under screwcap, as Europe and other countries have embraced New zealand’s initiative. The wine regions of New Zealand span a wide range of latitude degrees, almost 10 degrees, which for those who are either not interested, or can’t relate to this, is the equivalent from the temperamental vineyards and climate of Bordeaux, to the sun-baked, hot environment of Sherry’s home, Andalucia. There are 8 main wine growing districts in New Zealand, across the 2 islands, but these are the results of recent developments. Logically, red wines, especially merlot and cabernet Sauvignon, work best in the warm , sunny climes of the north island, and this is where the Industry really started, with plantings in Hawkes Bay. Now the vineyard plantings stretch way down to the bottom of the South Island, with Central Otago being discovered as a perfect location for the growing of the temperamental Pinot Noir. The North Island is far more densely populated than the South Island and is home to about half of New Zealand’s 650 wineries, although the entire vineyard area is only about half that of Marlborough. Just south of the Cook Straights, lies New Zealand’s South Island, which ranges around 800km from the most north to south, and accounts for just over half of the country’s 650 wineries, although in terms of vineyard area, it covers over three quarters of the total vineyard plantings in the country. Whilst the North Island has a predominance of small, family-owned, estate wineries, and a large number of major producers, who bring in their grapes from the South Island, the South Island produces wine on a far larger scale, with Marlborough alone, responsible for more wine production than all the other wine regions put together. The South Island has a very cool, continental climate, with Central Otago, at the southern tip, being the most southerly wine region in the world; grape varieties well suited to this Island, apart from the now internationally-acclaimed Sauvignon blanc, tend towards the more delicate and aromatic, those grapes that work well in northern Europe, such as Pinot Noir, Chardonnay, and the Alsace and German grape varieties of Riesling, Gewurztraminer and Pinot Gris. Undoubtedly the most famous grape to be sold in the UK from New Zealand. See our New Zealand Sauvignon Blanc page for more information. Because of the relative newness of the New Zealand wine industry, the style of Chardonny has not been incumbered by too much oak. Some of the best Chardonnays are produced near the south of the North Island, and in the north of the South Island, where the grapes enjoy a warm climate to ripen. The wines are full bodied, but joyously fresh, with ripe, creamy, tropical and baked orchard fruits, with a delicious citrus edge. Chardonnay is a very versatile wine, with a soft, rounded, creamy style. It’s best suited to rich fish dishes, such as salmon, creamy fish pie, a dead cert with buttery roast chicken, pork in a creamy sauce and also perfect with brie and other soft cheeses. Grown in the cool regions of the South Island, this grape variety is rapidly making a name for itself, as an aromatic white wine of note. With aromas of honeysuckle and warm white peach fruit, it’s generally a fairly rich, off dry style of wine, with powerful perfume, and a lively, citrussy acidity to balance the intense aromas and exotic flavours of this grape variety. Pinot Gris is absolutely perfect with any kind of oriental food. It’s a naturally rich, scented wine, and it copes very well with the powerful flavours and spices of Thai, Chinese and Indian food, especially hot, chilli-based seafood and chicken dishes. The native grape of Germany and Alsace, Riesling is perfectly suited to New Zealand’s cool climate, and is producing some simply outstanding, dry, elegant, aromatic wines, mainly from the South Island, full of lemon zest, pungent, floral character, with a twist of lime and a minerally, pure fruit freshness.